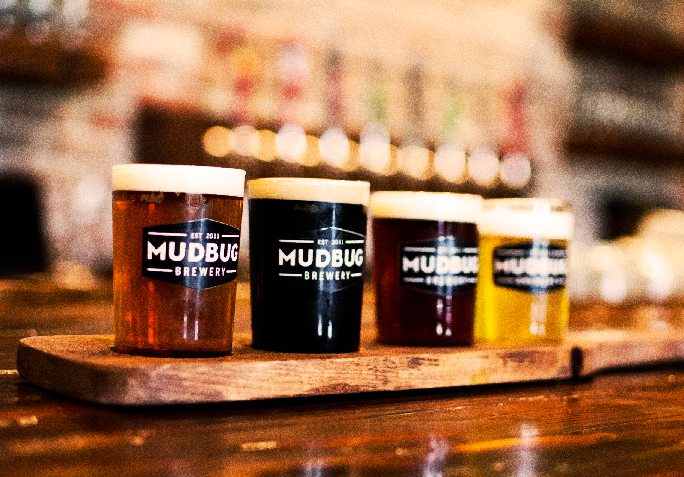 Proudly of Thibodaux, Louisiana, Mudbug Brewery was founded in 2011 out of a passion for good beer, good fun, and Cajun ways. Today, Mudbug continues to go strong with five flagship beers and a host of unique specialties aimed at celebrating and sharing everything Cajun. Brewed for all that we love in Cajun Country. 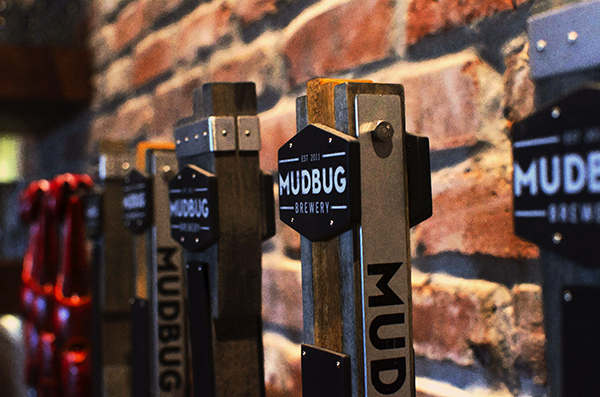 At Mudbug, we’re dedicated to crafting delicious beers as unique and true as the culture we call home. Each beer we share holds a taste of the community, because here in Cajun country, good beer is more than just a beverage. From fishing and hunting and crawfish boils to Mardi Gras, dancing, and hurricane parties, it’s a sign of a damn good time. And as always, everyone is invited. 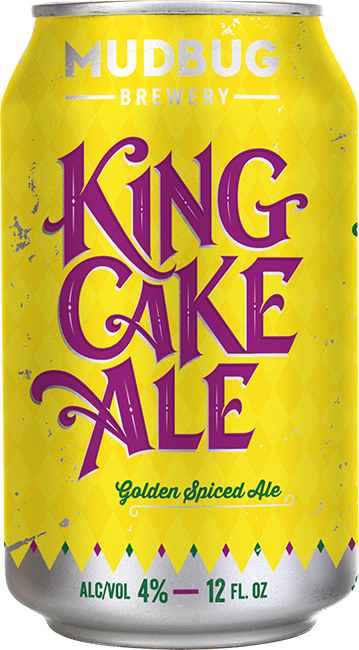 Brewed with Madagascar vanilla beans, Korintje cinnamon, and milk sugar, we’ve taken the flavors of every Cajun’s favorite treat, the legendary king cake, and created something truly special — The Perfect Golden Spiced Ale. Our take on a New Orleans classic. Chocolate and black malts create a roasted note that pairs perfectly with – what else? 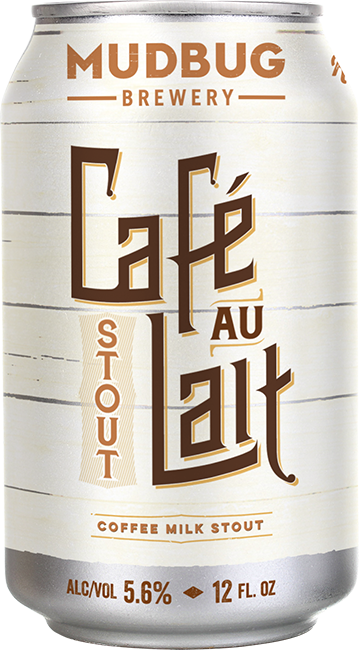 – cold-brewed Louisiana coffee, while milk sugar adds the creamy, sweet character to this stout. One sip of our coffee-laden stout will have you wondering why it took this long for a malted beer version of the French Quarter favorite to emerge. “Swamp Sneakers”. “Dulac Slippers”. “Breaux Bridge Pumps”. 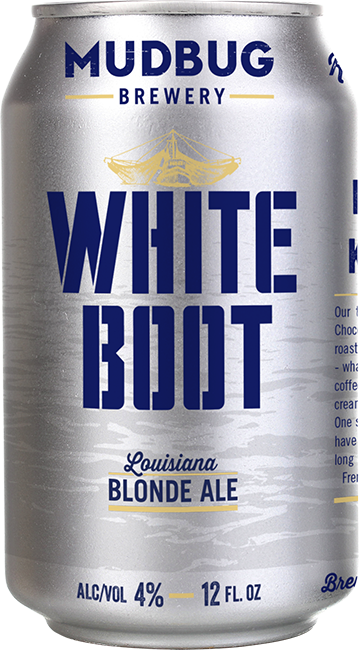 A pair of white rubber boots goes by many names in Louisiana. From the boat to the festival and everything in between, shrimpers and fisherman swear by them; Cajuns live by them. Here’s to the hard workers and life’s enjoyers. A smooth, relaxing beverage after the long day is done. 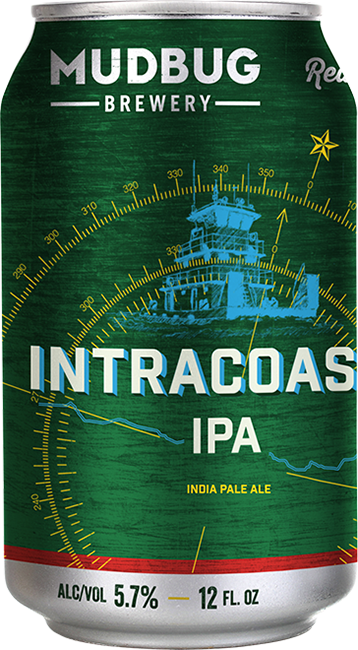 Our crisp IPA honors the great gulf waterway that winds across all of Cajun Country and links industries from Texas to Florida. That’s a lot of hardworking taste buds en route. Ones that could use a balance of citrus flavors and hoppy bitterness without the bite. 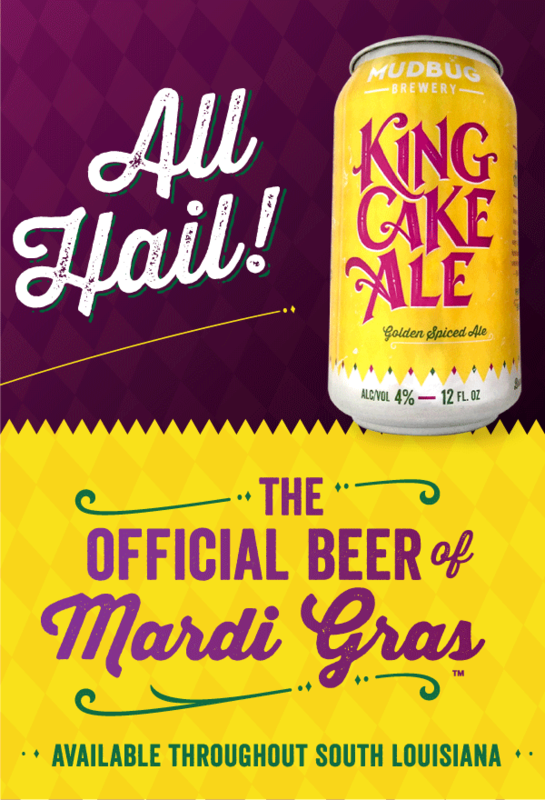 So, we brewed the perfect Cajun companion. 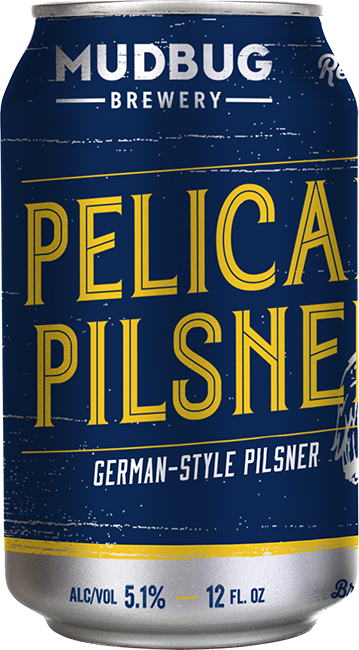 Launched by German brewing traditions, Pelican Pilsner is brought to life using only grain, water, yeast, and five noble hops. Flavors are enhanced through decoction mashing creating the perfect brew to tame the sweltering fire of a south Louisiana summer. Come by, say hey, and have a pint of Cajun beer. Our taproom features eight taps serving flagship beers, seasonals, and unique brews from the brewmaster himself. You’ll find a whole lot of merch available too with new stuff on shelves regularly. Not only that, but we host plenty of events from food & music concerts to sports parties. Join us on facebook to keep up with what’s going on. While you’re there, ask for a tour of the brewhouse to see some Cajun beer in the making.